As Singh Bag House We feel proud to represent our self a leading brand as Top Bags Manufacturer and Bags Supplier of all types of high quality Bags in Delhi, Delhi NCR and in Haryana, India. 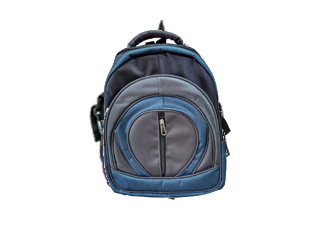 We manufacture and supply Bags like BackPack Bags,Laptop Bags,Travel Bags,Touring Bags,Hand and Kit Bags and Messenger Bags. We work to the satisfaction of our clients and customers in an organized way. Our way of work and organized methodologies help us in delivering complete satisfaction to our customer and clients, by which we have been one of the best bags manufacturer and supplier in Delhi, Delhi NCR, Haryana & in India. As Singh Bag House A leading brand as top manufacturer and supplier of All types of high quality Bags, we considerably focus on maintaining and manufacturing best quality bags. High quality raw material & fabric with high quality Zips and Best stitching is our speciality.